What is a Transcript Request Form? A transcript request form is used in the education field. A transcript request is used in the education field. It will be submitted by former or current students in order to request an official copy of their educational transcript. This transcript will show information about the student’s academics, including courses taken, grades, and GPA. An official transcript may be needed if a student is applying to a new school, transferring schools, or is applying for a job. A transcript request will require identifying information about the student. This will include their full name, date of birth, and social security number or student ID number. The student will also need to list the dates when they attended the academic institution. Many colleges and universities will require that a fee is included with the form. This fee varies depending on the school, so be sure to check before sending in your request form. 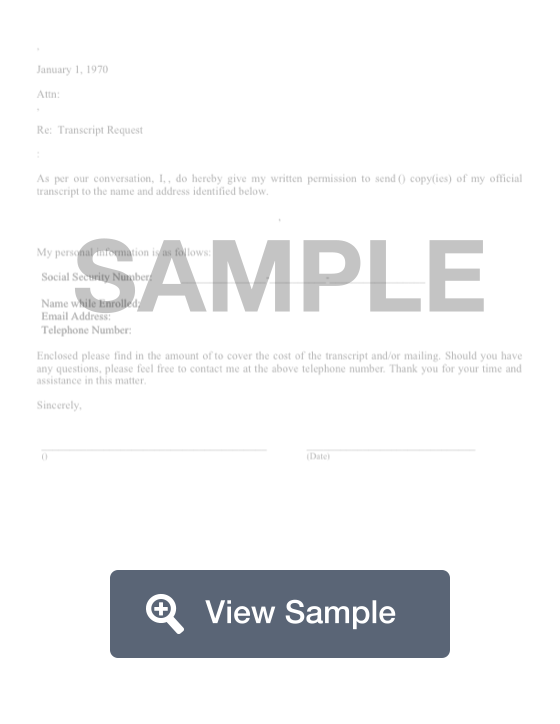 Create a free Transcript Request Form in minutes with our professional document builder. You should use this form if you are applying to a school or job that will require a copy of your official high school transcript or transcript from college or graduate school. You should also check your school's website for more details about requesting transcripts. 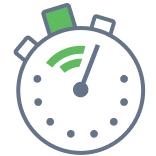 Many higher education institutions have websites that allow you to request transcripts via their online transcript request system.